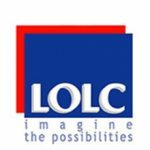 The LOLC Group has rapidly evolved into being the biggest non-banking financial institution and one of the biggest and most diversified conglomerates in the country. Besides a range of financial products and services, our portfolio includes leisure, plantations, agri-inputs, renewable energy, construction, manufacturing and trading and other strategic investments. Our footprint in Sri Lanka spans every district, from the rural hinterlands to major cities and we have enduring business partnerships with a host of financial and developmental organisations across the world. We have significantly successful investments in Cambodia, Myanmar and Pakistan and we continue to expand our international presence by actively seeking new opportunities in the region.